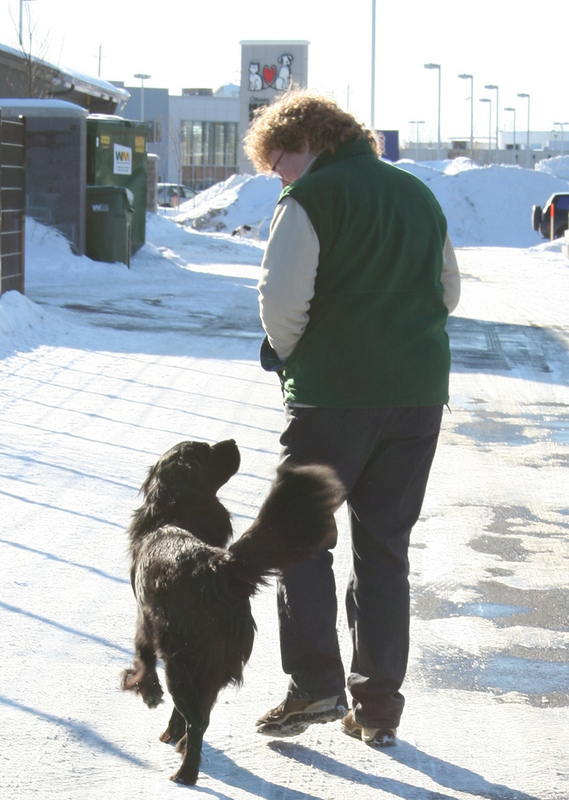 Ottawa Humane Society: Thanks OHS Dog Walkers! It’s been a mild couple days but Ottawa has seen some wild weather this winter, from temperature extremes to snow storms. I avoid going outside if the temperature drops much below freezing. That is why I am all the more impressed to look out my window and see our faithful dog walkers circling the building, a joyous dog hopping along in front of them, day in and day out. This winter, we have suffered through snow, freezing rain, exceptionally high winds—you name it. But the dog walking volunteers arrive like clockwork to ensure our dogs get fresh air, exercise, basic training and relief from the kennels. It is one thing to walk five or six dogs on a warm sunny Saturday afternoon, but the dogs need to get out at 8 am on blistering cold Tuesday mornings, too. Everyone at the OHS is indebted to the hearty souls that bundle up and endure the worst winter weather for the sake of the dogs.